Effectiveness for certain afflictions and conditions? The role of the curandero? Most questions can be answered in just one session, but more than providing answers to questions, pre ayahuasca counseling is a way to feel safe and secure in your decision to embark on the mysterious path of ayahuasca and the plant medicine tradition of the Amazon. Putting your faith and trust into the process is important, and by speaking to an experienced counselor you can ensure that you are taking the proper precautions and can go into the experience with the confidence to let go of self limiting factors so that the optimal healing experience can be achieved. David currently lives in Colorado and has a degree in psychology from the Naropa Institute. Since 2010, he has traveled to Peru six times to attend ayahuasca retreats conducted in the Shipibo tradition of the Amazon Rainforest, each time introducing and assisting a new friend to the healing process. 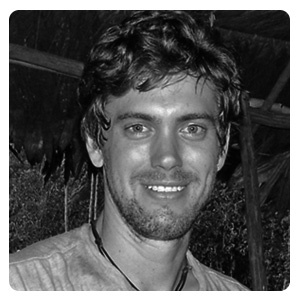 Because of his extensive experience doing retreats, as well as his eloquence in articulating deep concepts regarding consciousness and self perception, David has developed a unique skill in assisting others with the challenging process of setting up the most beneficial mental and emotional environments to prepare for the transformational experience that ayahuasca often provides. A talented musician and brilliant mind, he has a remarkable talent for openness and listening and is always a wonderful person to talk to, especially if you have yet to experience ayahuasca. Through his suggestions and guidance, you’ll be able to lower the anxiety that is common before such a powerful process, and increase your positive outlook on some of its more complex aspects. A sliding scale from $60 to $100 is used for pre ayahuasca counseling sessions with David. Each session is one hour long and utilizes current online technology (skype, facetime, hangouts, whatsapp, viber). It doesn’t matter where you are located except that you do need a reliable internet connection. Sessions are in english. Payment must be made at least 24 hours prior to each session. If you would like to schedule a counseling session with David, please fill out the form below. Make sure you enter the correct email address as he will be responding to the form using that email address. More information like the date and time for the session as well as payment instructions will be provided in that response.